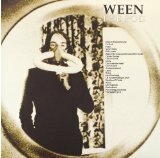 The Pod is ranked 6th best out of 20 albums by Ween on BestEverAlbums.com. The best album by Ween is The Mollusk which is ranked number 536 in the list of all-time albums with a total rank score of 4,955. Members who like this album also like: Chocolate And Cheese by Ween, Pure Guava by Ween and Crooked Rain, Crooked Rain by Pavement. Related links: top tracks by Weentop tracks of the 1990s, top tracks of 1991. I agree that this is hard to sit through the first time around. However, once you give it a few more listens you start to realize just how amazing this album is. Starting off with great songs like Dr. Rock, Sorry Charlie, Pollo Asada, Right to the ways and the rules of the world, this album hits you hard with gems. As it goes on, you get slower and songs with a lower pitch. The climax of pork roll egg and cheese is definitely one of the best endings to an album. The only clear flaw is having the stallion pt. 2 after pork roll egg and cheese. Pork roll even ends with a thanks for listening saying its the end. This may not be easy to get into, but is definitely worth while if you can. I've hard literally such a hard time getting through this album even ONCE. Dense as you can possibly get, and the fact that it's 75+ minutes doesn't help much. Only three real gems here honestly, which are Pork Roll Egg and Cheese, Captain Fantasy and (Oh My Dear) Falling in Love.